STEM and Easter Connections Make Learners and Teachers HOPPY! Sometimes it is just plain fun to plan for a holiday! I know that some people think it might be a waste of time, or it is just plain impossible to fit in...what if I told you that a small 30 minutes of STEM engagement is just what your learners need to develop problem solving skills, and team building strategies! Why STEM? Science, Technology, Engineering, and Math expands to every part of our lives. Students are able to develop a passion for STEM challenges allowing them to be part of hands-on and minds-on lessons that will allow them to be exposed to potential occupations in the future. This can also help develop problem solving skills as well as help them build, modify, and share as a team! Take for example, the four stations that I use with four different grade levels. If you just tuned in...I teach K-5th grade science to over 400 kiddos! LOVE it! 3. It allows for students to apply science and math to what they are building which is real application to a given problem! 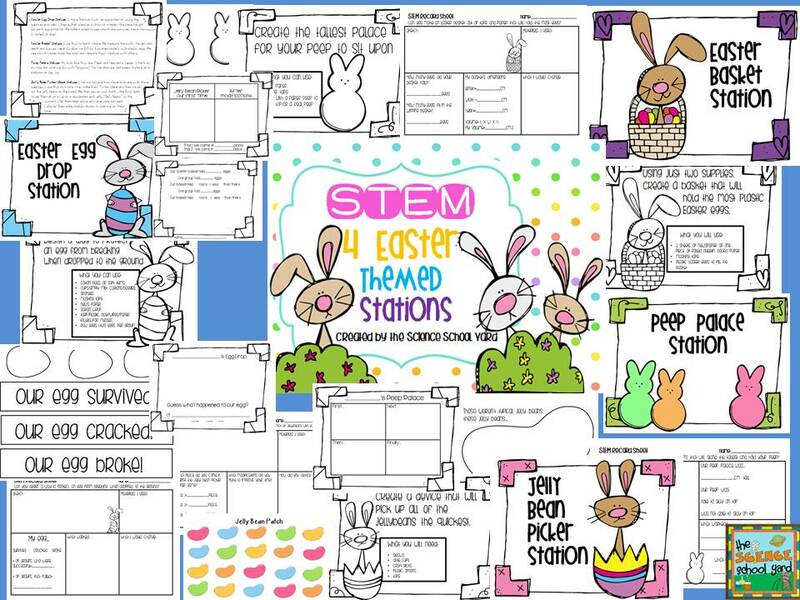 Find your EASTER STATIONS HERE! Our 5th graders make Jelly Bean Picker Uppers! Problem Solving and Team Building and under 30 minutes! Our 4th graders work on egg protectors! Did I say problem solving and team building yet? I can get them to make and test in just roughly 30 minutes. Time constraints are key! 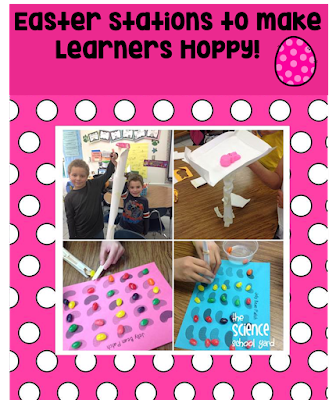 3rd graders are working on Easter Baskets with two pieces of paper and a small bit of tape! Problem solving using area/perimeter strategies is perfect for this team activity! 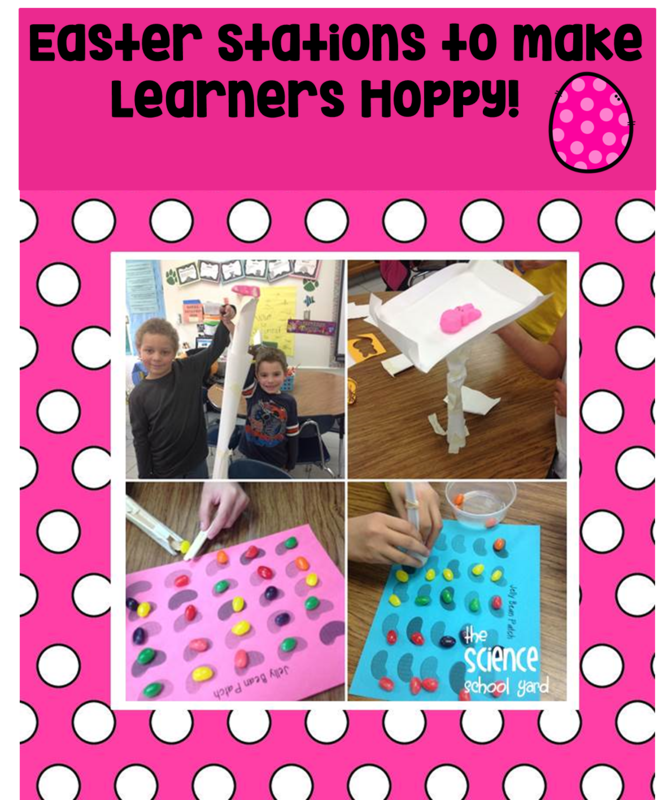 Finally, our 2nd graders build Peep Towers using paper and tape as well. Love to see their creativity added to problem solving and team building! 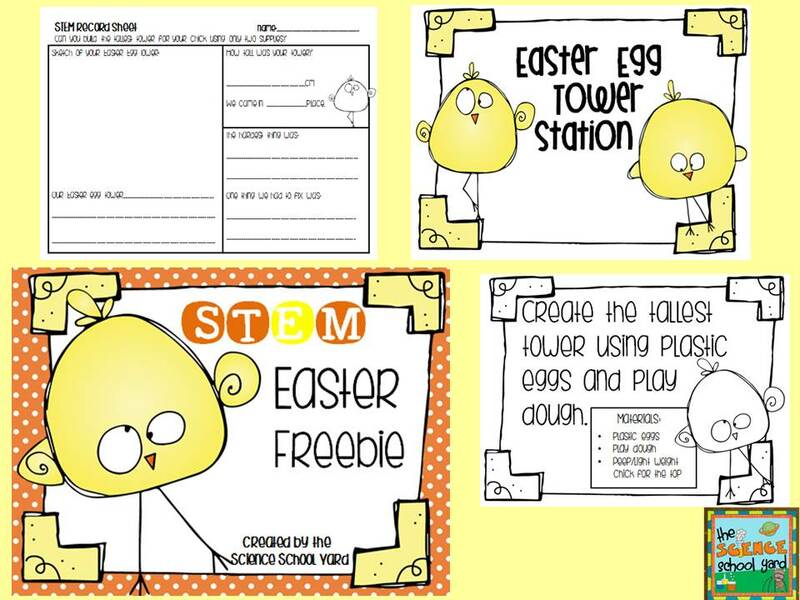 You can also use these activities with kindergarteners and first graders if they are up for a challenge! 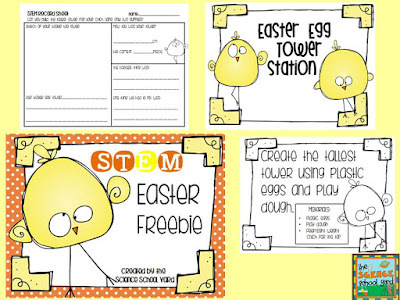 I am also so HOPPY that you stopped by that I am sharing a fun Easter Freebie right here for you! Enjoy!